Collects Angela: Asgard's Assassin #1-6. 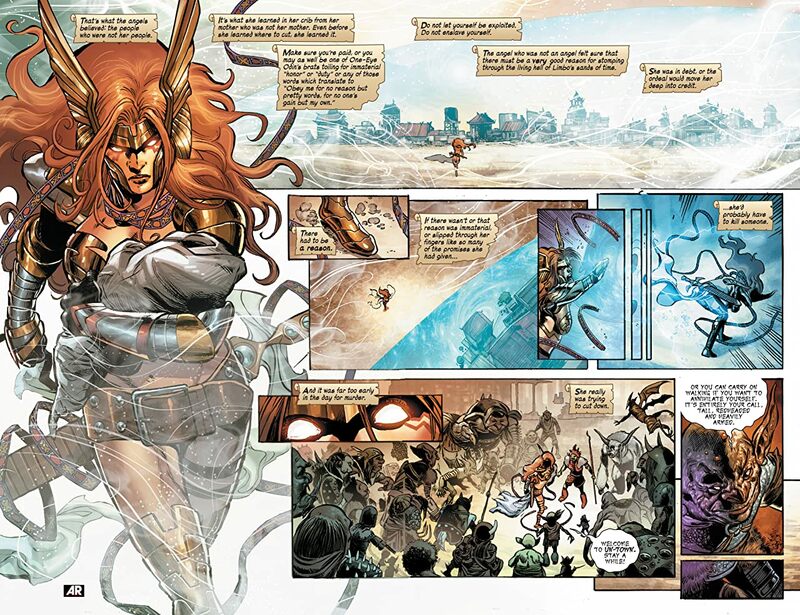 All her life, Angela — finest warrior of the Tenth Realm of Heven — was raised to hate Asgard with every fiber of her being. 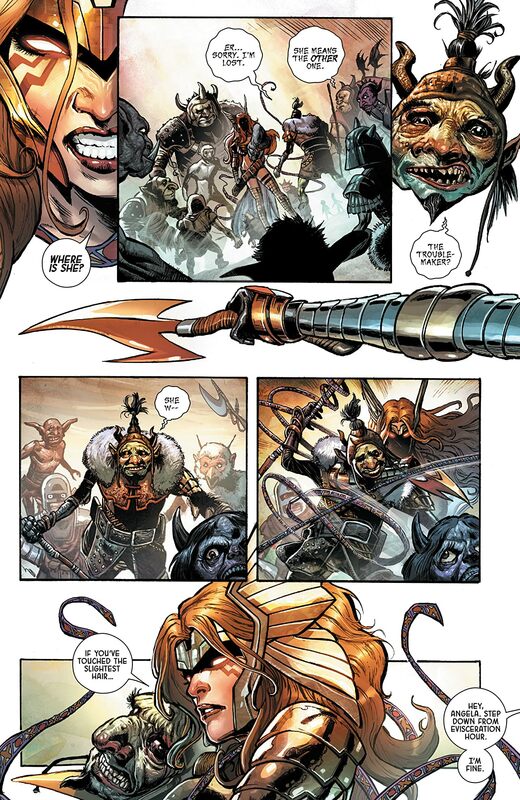 But Angela has learned the truth about her identity: She is Thor’s sister. 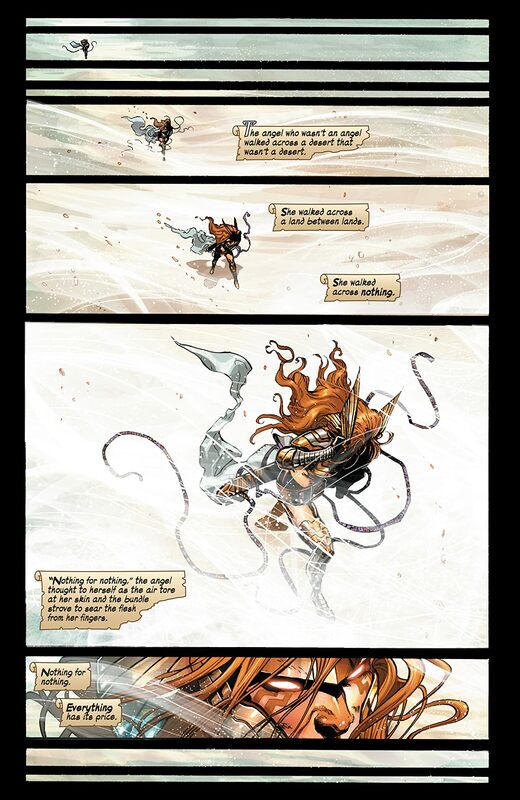 She is an Asgardian. Now, cast out of her home, Angela must strike out on her own! But how does she become the guardian of a demonic child? 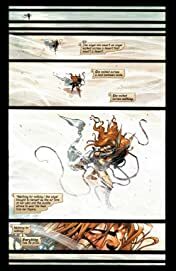 Why do both Asgard and Heven want it so badly? And how does Loki fit in? 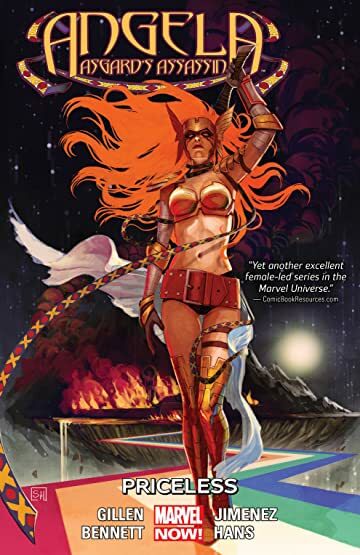 Pursued by Asgardian warriors, Angela and her charge cross the Realms from Earth to Vanaheim, and even travel to outer space, where her teammates the Guardians of the Galaxy lend a hand. 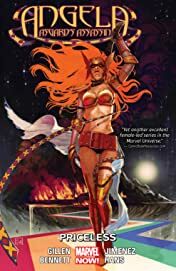 But she soon sees no other option than an invasion of her own homeland — that’s right, Angela must fight her way into Heven!